This morning I decided to go for a visit to Ashdown Forest, just to try to see the resident Dartford Warblers and Common Crossbills. There has been a Short-Toed (Snake) Eagle lingering around the Ashdown Forest area for a few weeks, though sadly it moved on a week or so ago. So we thought that there was no point even looking for the Short-Toed Eagle while we were walking, but about one third of the way around the walk we were doing, my dad spotted a large raptor perched in a dead tree approximately 200 metres away from us. At first glance it looked like a large osprey, but we knew it couldn’t be as there are no large bodies of water near us at all. 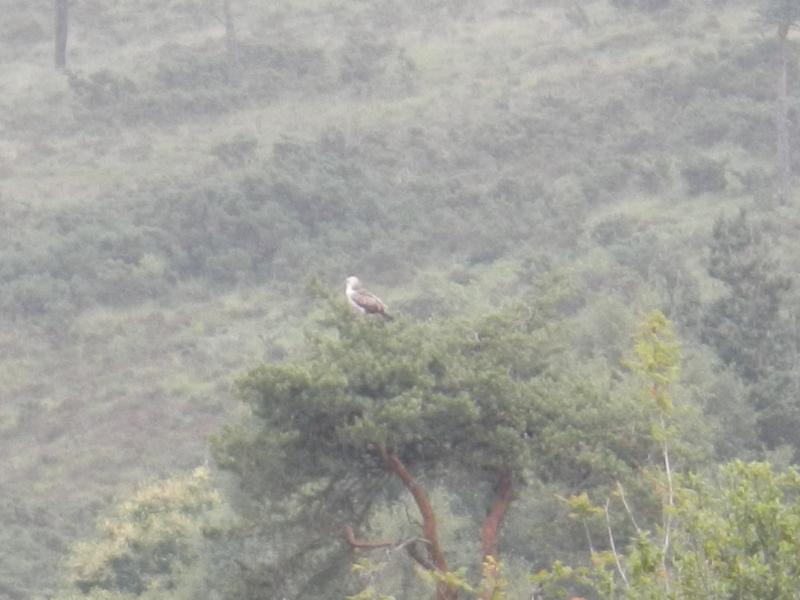 So we linked back on the recent sightings for the Ashdown Forest area: Short-Toed Eagle! I really couldn’t believe my eyes when I looked through my binoculars at the very pale bird of prey, though when it flew I knew no other bird in England could match its size. 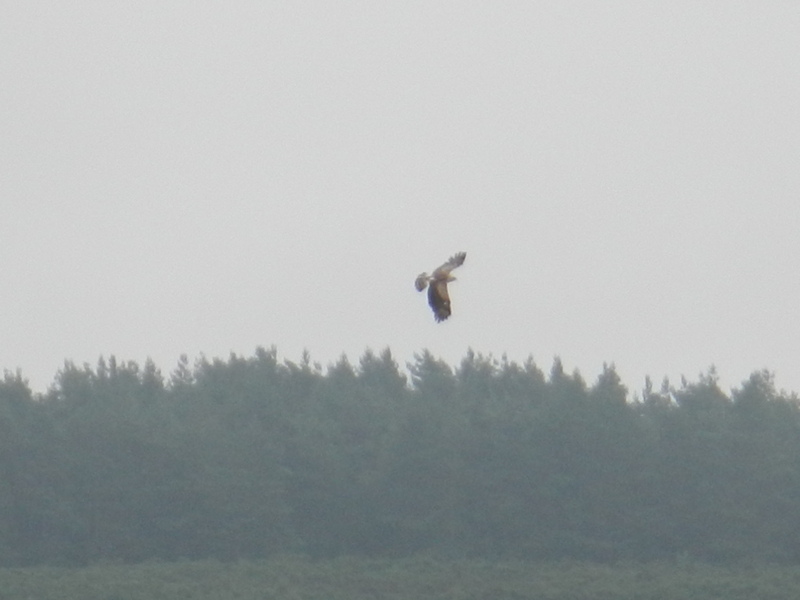 Unluckily it flew in the complete opposite direction to us, towards the last leg of the walk. I walked as quickly as I could towards the area where the Eagle flew to, passing Whitethroats and Linnets along the way. Soon enough we got relatively near to the bird, however, we discovered that it was nowhere close to the last leg of the walk. We did find a tiny path that I think has only been used once or twice, going through the heathland in the rough direction of the Short-Toed Eagle. As we walked along the path I stopped at regular intervals to take a photo, ever fearing that the Eagle would soar away into the distance. I walked quite slowly through the heath, gorse bushes spiking me at every chance and wet heather soaking the bottom of my jeans. Eventually it did soar off and when it finally decided to land, it was again on the other side of the circuit we were doing.